John McCall MacBain O.C. was presented with the Sheldon Medal yesterday for his visionary support for the University of Oxford. 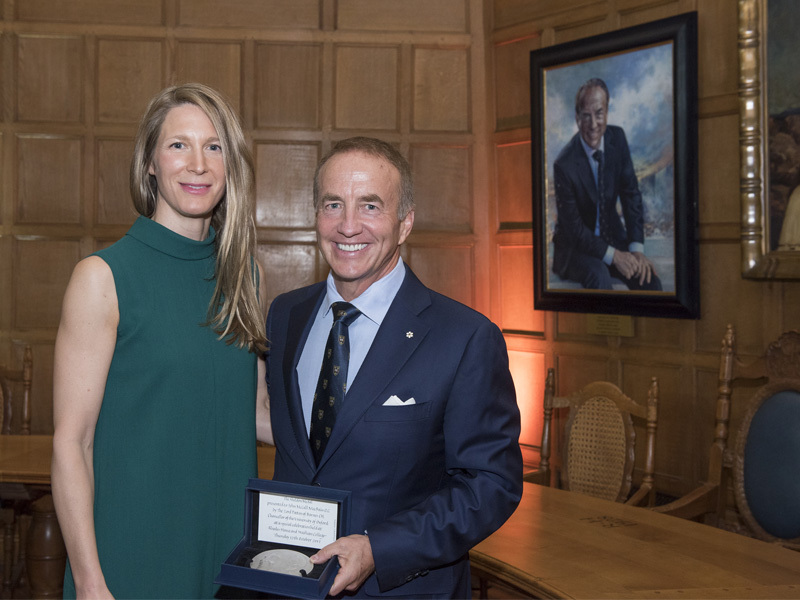 The Canadian philanthropist and his wife Dr Marcy McCall MacBain were thanked for supporting generations of students at a ceremony in Oxford. The McCall MacBain Foundation has committed £75 million to the Rhodes Trust to help guarantee Rhodes Scholarships in perpetuity. The couple has also provided lead funding for the McCall MacBain Graduate Centre at Wadham College in Oxford. Upon accepting the Sheldon Medal, Mr McCall MacBain spoke of the power of education to address the world’s challenges. He explained how he gained confidence from studying law as a Rhodes Scholar at Wadham in the 1980s. The former co-captain of the Oxford University Ice Hockey Club also gave advice to current students, encouraging them to lead by example, shun pride and avoid laziness. The reception was followed by a dinner in the Old Library at Wadham. Mr McCall MacBain was the founder, president and CEO of Trader Classified Media. The McCall MacBain Foundation was established in 2007 following the sale of the company. The Rhodes Trust named Mr McCall MacBain as a ‘Second Century Founder’ in 2013 in honour of his support for the scholarships. In 2016 Mr McCall MacBain was named an Officer of the Order of Canada for his achievements as a business leader and philanthropist. 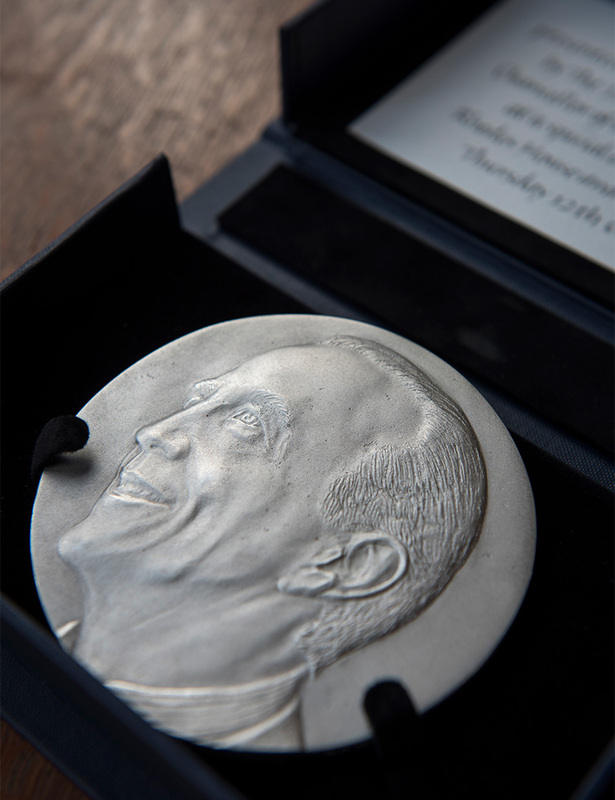 Mr McCall MacBain is the ninth recipient of the Sheldon Medal, which was first awarded in 2002. The Medal is named after one of Oxford’s early benefactors, Gilbert Sheldon, who supported the construction of the seventeenth-century Sheldonian Theatre designed by Christopher Wren.